PORTLAND, Ore. – The removal of a thin blue line flag from a room in the Multnomah County courthouse has sparked some outrage on social media. Many commenters did not buy the explanation of the sheriff’s office, citing political correctness and a betrayal of fallen officers. Some posted pictures of Reese with the thin blue line flag and deputies wearing badges of a rainbow-colored flag in support of the LGBTQ community. 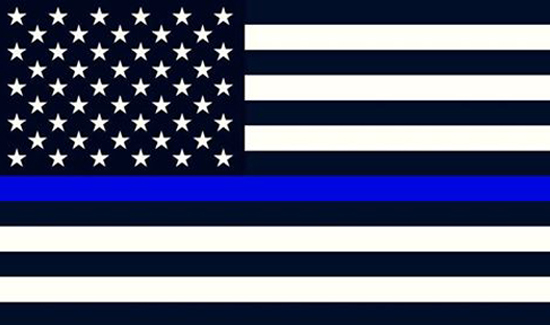 In a statement released Wednesday night, Reese defended his decision and said the symbol of the thin blue line flag is not universal. “For some [the thin blue line flag] is a symbol honoring fallen law enforcement officers. For others, the flag is seen as a sign of disrespect toward communities of color,” Reese said. He also reinforced his support for fellow officers. Earlier this week, I was approached by the office of a county commissioner regarding an altered United States Flag, known as the Thin Blue Line Flag, on display in the county courthouse. For some, it is a symbol honoring fallen law enforcement officers. For others, the flag is seen as a sign of disrespect toward communities of color. As public safety officers, we have a tremendous responsibility to the communities we serve and to each other. I support honoring our fallen officers in a way that respects the sacrifice they made and the communities they served. Along with that, organizational esprit de corps and respect for one another must be preserved in order to work together as a team in service to our community. As a 27-year law enforcement officer, I strongly support our public safety officers and speak often of their courage, integrity and commitment to service. I am keenly aware that they put their lives in harm’s way each and every day to protect those who live in and visit Multnomah County. The community concerns raised, led me to ask that the flag be removed while we consider whether or not it is appropriate to display any altered United States Flag inside a County-owned facility. During a meeting with staff earlier today, I ask them to work with me to resolve these issues by determining how and where to display the flag in a manner that will honor fallen law enforcement officers and also meet the expectations of our community.